If you’re a little bit unsure about whether or not you should try to edit videos on your Mac, that’s perfectly understandable. Overall video editing has a pretty bad reputation for being complicated, technical, and generally requiring a hefty learning curve to get into. However to be entirely honest it need not be anyway near as complicated as it is said to be, and is largely going to be based on the video editor that is being used.That is one of the reasons why Movavi Video Editor for Mac (http://www.movavi.com/mac-video-editor/) is such as popular choice. 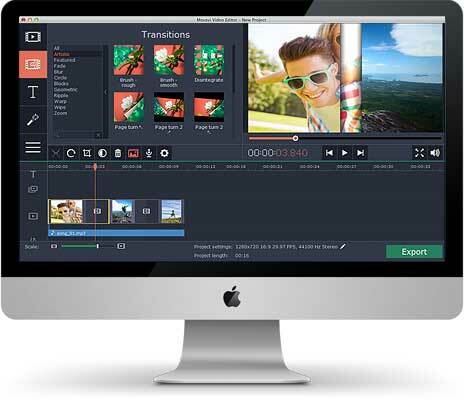 Instead of forcing you through a prohibitive learning curve, Movavi Video Editor for Mac is designed to make editing videos a much easier and more straightforward process. It has a simple user interface that is easy to navigate, and will allow you to locate the features that you require without any hassle. At the same time, the controls required to make use of those features are also similarly straightforward. For the most part you’ll find that Movavi Video Editor for Mac relies on basic actions such as dragging and dropping, adjusting sliders, resizing windows, or selecting options in dropdown menus. Splitting videos into parts and remove any unwanted segments or merge them with other video clips or in a new sequence. Enhancing the video quality either manually or automatically and fixing common issues such as shaky, blurry or interlaced video segments. Adding text and customizing its appearance by adjusting the font style. Incorporating background music, voiceovers, and other audio into the video. Applying various types of special effects and filters to transform the visual appearance of the video. Inserting animated transitions between any scenes within the video. As you can see, you really will have a wealth of different option to choose from. As you try out these features and start to develop a better understanding of what they’re capable of, you will even start to discover the best ways to use them in tandem with one another to achieve impressive results. Once you do, you will be able to truly use Movavi Video Editor for Mac to create stunning videos of your own.